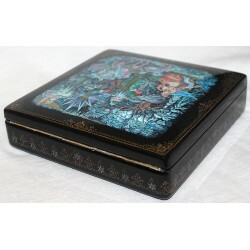 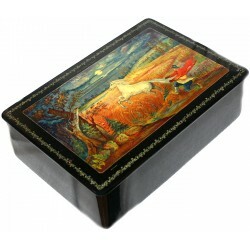 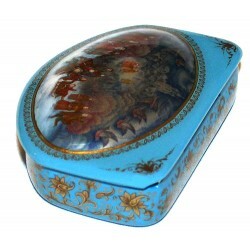 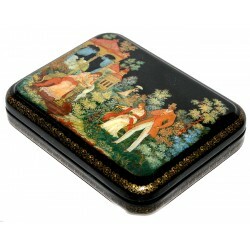 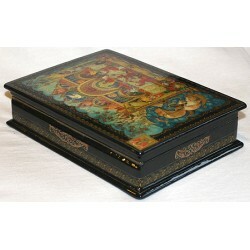 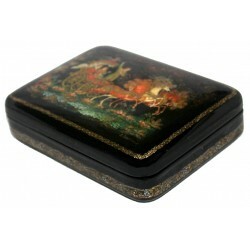 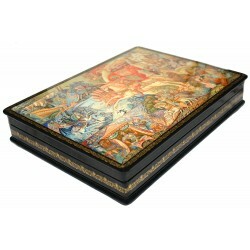 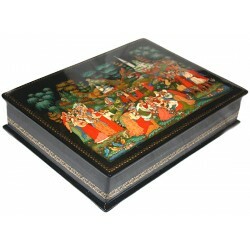 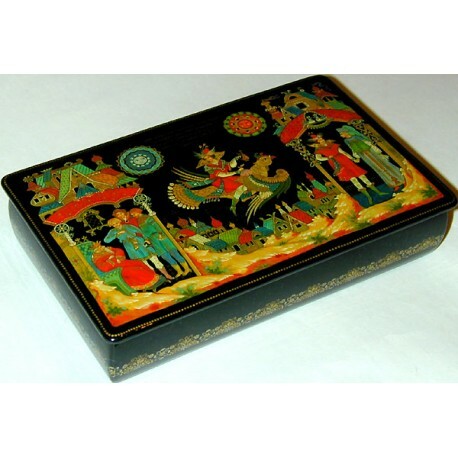 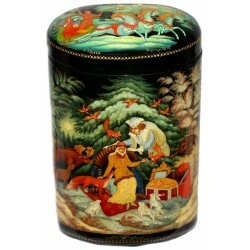 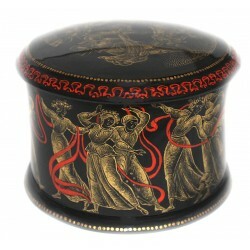 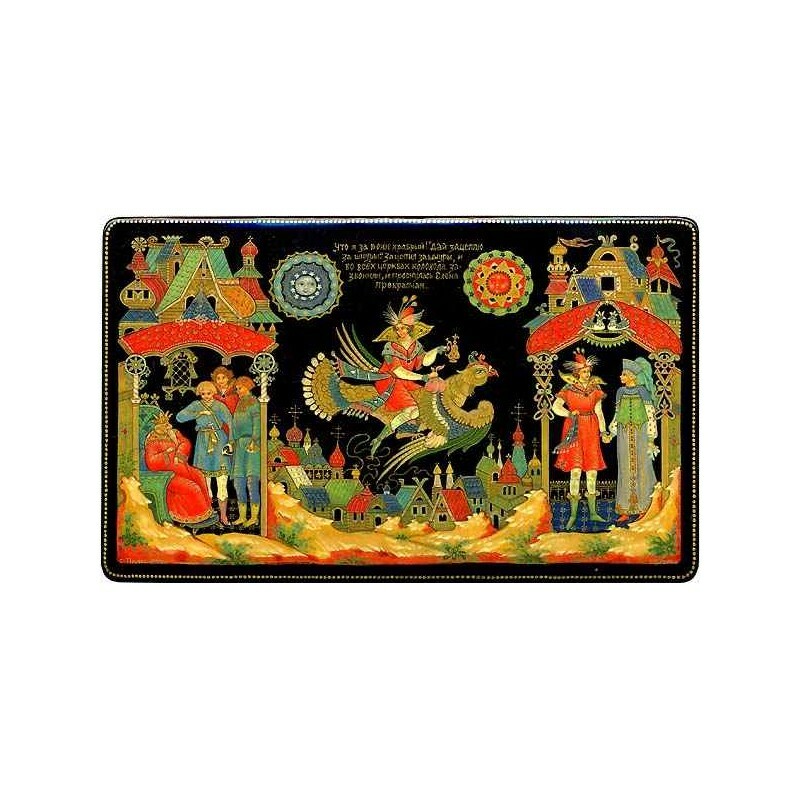 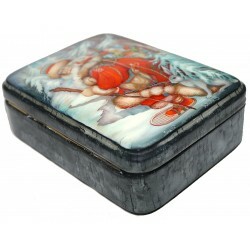 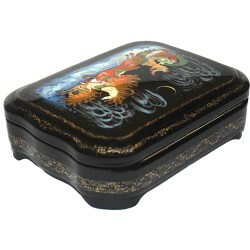 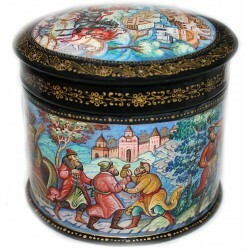 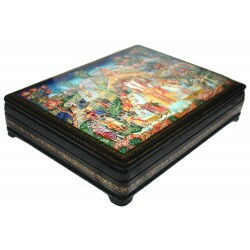 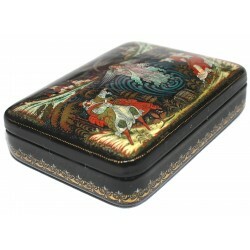 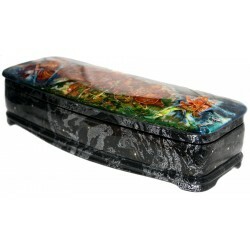 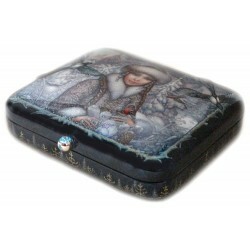 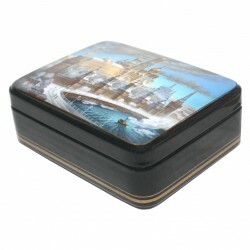 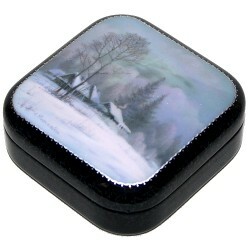 Olga Tsyganova from the village of Palekh has painted this traditional Palekh box. 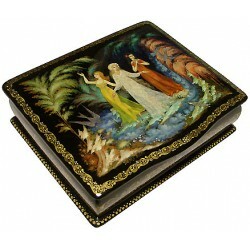 It shows several scenes from the fairy-tale "Elena the Beautiful". 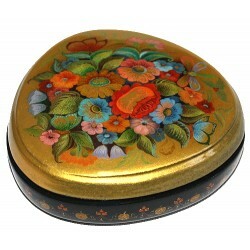 Olga Tsyganova from the village of Palekh has painted this traditional Palekh box. 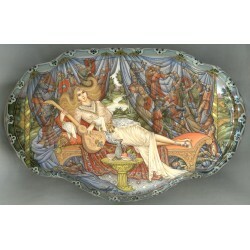 It shows several scenes from the fairy-tale "Elena the Beautiful". 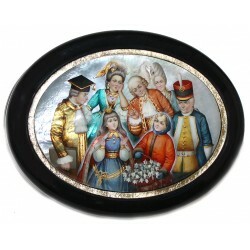 In the left part of the composition the old tsar asks his three sons to carry him "life water". 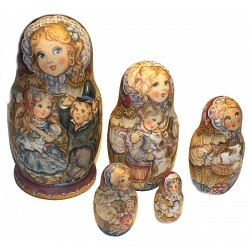 In the middle there is a figure of the main hero of the tale, Ivan Tsarevich. 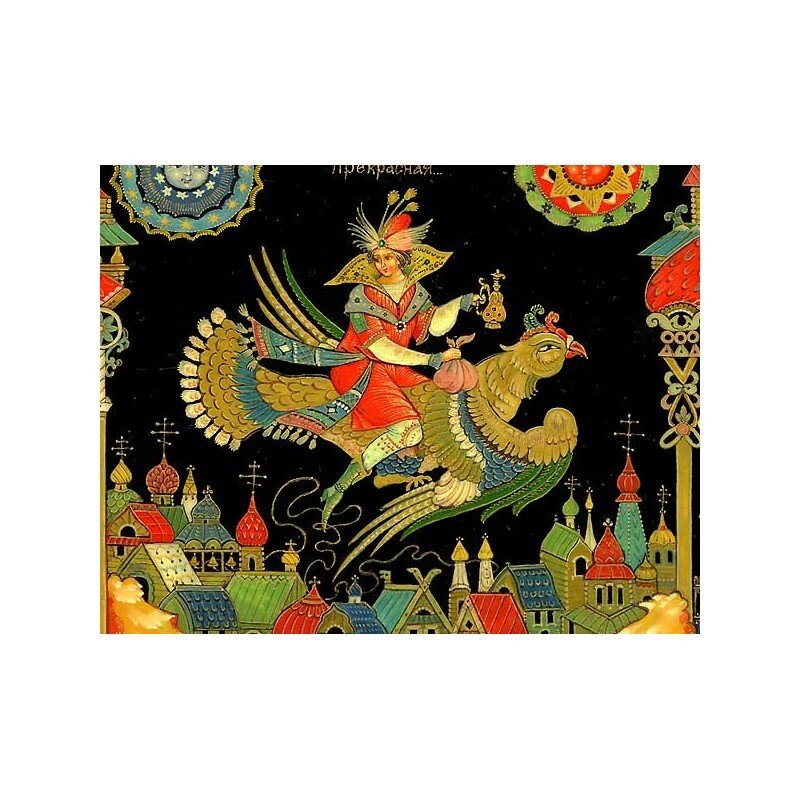 Sitting on the back of the huge bird he holds the jar filled with magic "life water", and hovers over the ground. 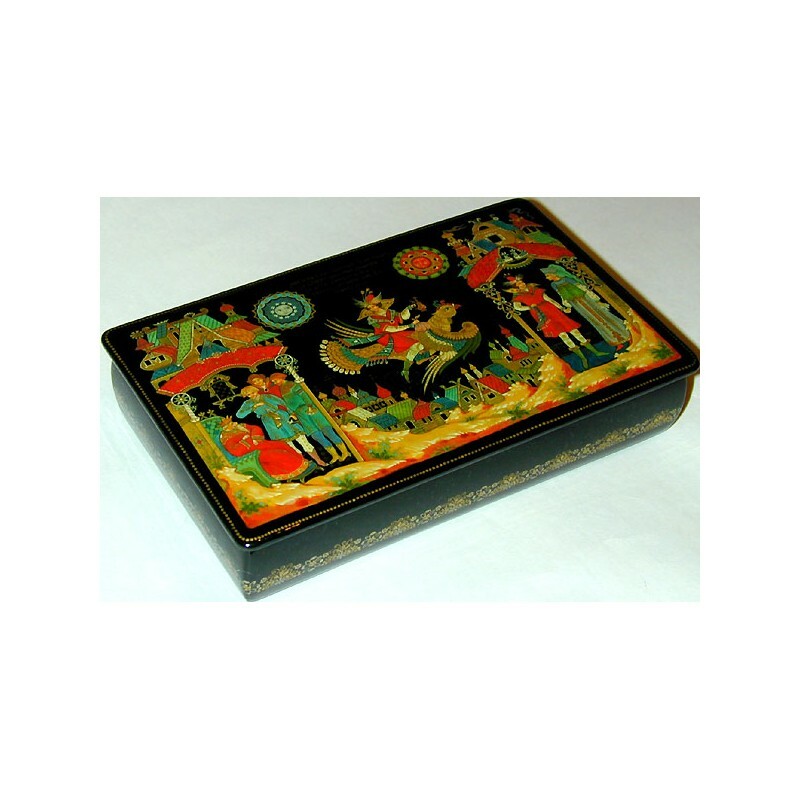 Ivan Tsarevich has been able not only to fulfill all tasks of his father, and but also to marry Elena the Beautiful. 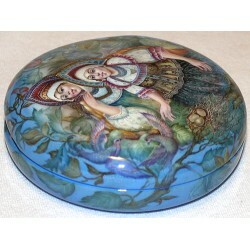 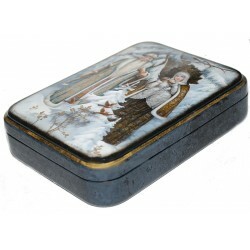 So the right part of the box the loving couple is depicted.